As the Second World War rages, parachute maker Carmen Jones wages her own quarrel involving an airman and a boxer. 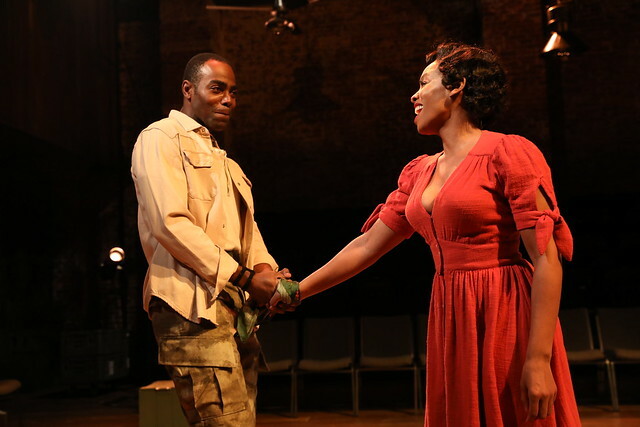 Using the score from Georges Bizet’s opera Carmen, this adaptation by Oscar Hammerstein II resets the story with an all African-American cast, and is the first major New York revival since its debut on Broadway 75 years ago. This performance is running 95 mins with no intermission. CARMEN JONES is presented through special arrangement with R & H Theatricals.